A letter submitted to the Times Higher Education but not published as Ed Moloney, former project director of the Belfast Project, had written earlier and his letter was published. An investigation by the Society of American Archivists has found that the researchers made promises of confidentiality that went further than university lawyers had advised. The investigation cited was nothing short of appalling deficiency in that it churned out a “litany of incontestable mistakes”. It is regrettable that Jon Marcus did not make clear that the SAA investigation he cited has since March 2013 been “under review” because of complaints about it. He therefore had no grounds to cite it. made additional written promises to participants in the oral history project that went beyond those offered by Boston College but … did not disclose to participants that these additional assurances were made on behalf of the project staff and did not represent the position of Boston College. demonstrably false and misleading that only with extreme reluctance could it be accepted as something issued in good faith. Not a scintilla of evidence for such a bald has been forthcoming. Where is the evidence that the researchers ever gave ‘additional assurances’ to the participants? Don’t hold your breath waiting on the SAA to come up with an answer. It won’t. SAA’s Government Affairs Working Group has drafted a document summarizing a case in which Boston College had signed an agreement to house oral histories regarding the “Troubles in Ireland” that later were subpoenaed. March 2013: NOTE: This document is currently under review and being revised. 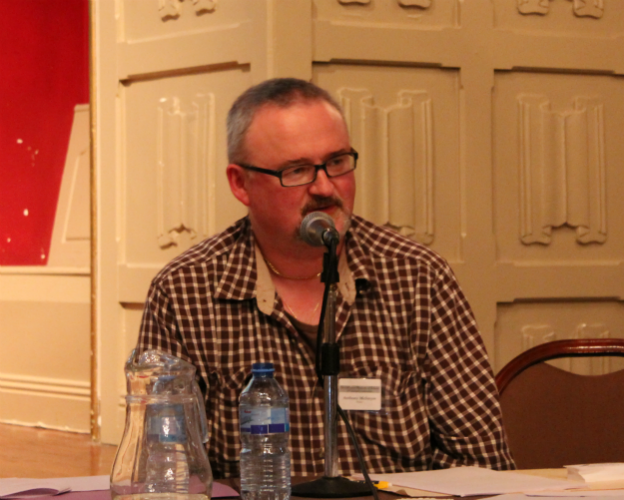 Lead researcher for the Belfast Project, Dr. Anthony McIntyre, offers his response to the SAA/GAWG document on the Boston College/IRA Oral History case. Today we hear from Frank Boles, SAA past president and chair of our Government Affairs Working Group, who led the work to develop our statement. He and his merry band of GAWGers always do excellent research and thinking before they send a document to Council, and this one is no exception. It struck me that a casual reader could be forgiven for deducing that that Ms Dooley and I had been reading different documents from Frank Boles: the one he submitted to the SAA Council and then another which the Council put out as a discussion statement outlining its stance in respect of the Boston College legal battle. Without being dogmatic, it simply defies standards of excellence to attribute ‘excellent research’ to Boles and his colleagues who took the lead role in the preparation of the SAA statement on the Boston College affair. This is hardly a churlish response from an aggrieved researcher. It is easily borne out by the litany of incontestable mistakes that ‘excellent research’ could never have plausibly churned out. Ms Dooley, if she is familiar with Euripides, would appreciate the prudence in his comment that ‘a bad beginning makes a bad ending.’ Alternatively a purposeful bad end can produce a bad beginning. Consequently, one is compelled to explore the possibility that the end result of taking no action was decided in advance and the research tailored to fit. Some of the mistakes that litter the SAA discussion statement are surface flaws, which, while indicating sloppiness, are not catastrophic. Others are serious foundational errors and for that reason are considerably more egregious. Both sets, when aggregated, point in the direction of an absence of serious research and in its stead a superficial scan. This is all the more regrettable because in spite of being asked by some of its membership to intervene in the Boston College Subpoena case, ‘the SAA Council believes that it is inappropriate for the Society to take a formal position on the case or on the concept of “archival privilege” at this time.’ While ultimately any strategic initiative is a matter for the Council, it would be an intellectual travesty if this disappointing decision by the Council is based on specious reasoning. While the interpretation of the facts is a matter for the authors who, in the interests of intellectual autonomy must have latitude to interpret, it is not within the gift of the authors to designate as facts matters that have no demonstrable basis in fact. Moving from surface to foundational, an itemisation of the errors that appear in the SAA Council statement should suffice to indicate something other than best practice. I was at no time subpoenaed. At no time did I refuse to turn over material in my possession for the simple reason that I had no material in my possession. What I refused to do, as a matter of academic and journalistic principle, was assist Boston College on the eve of court, to filter the material in its possession for anything that might be responsive to the subpoenas. To the extent that I am an archivist/researcher, I am most definitely not a gatherer of evidence for law enforcement agencies. Neither I nor Moloney on September 1, 2011 asked the court to quash the subpoenas. We asked for the right to intervene in the case as we had little faith in the efforts being made by Boston College. Our Motion to Intervene and our Complaint for Declaratory Judgement, Writ of Mandamus and Injunctive Relief are available both online. No subpoenas have been issued against Ed Moloney. Two subpoenas have been issued, in each case against Boston College. In December our request to intervene was denied, not a request to quash which we had not been afforded an opportunity to make. Boston College staff did not merely either fail to ‘review or reviewed insufficiently the agreements drawn up for participants’ signatures.’ Boston College drew up the agreements for the participants’ signatures. This is a matter of public record for which there is an easily accessible paper trail, and which Ed Moloney has thoroughly addressed in his response to the SAA. This last assertion on the part of the SAA Council is so demonstrably false and misleading that only with extreme reluctance could it be accepted as something issued in good faith. Not a scintilla of evidence for such a bald statement has been forthcoming. Where is the evidence that the researchers ever gave ‘additional assurances’ to the participants? In a matter considered so important that the SAA Council thought it worthy of public comment, it is striking that so little effort was put into getting it right. The Council simply packaged a falsehood based on lazy rather than excellent research, and passed it off as factual. It is not difficult to conceive of a corollary whereby the researchers would be excoriated and Boston College exonerated. Is the instinct to protect the institution so strong that it cannot resist the tendency to close ranks and displace culpability onto those considered least able to fight their corner? “6. Each person interviewed for the Belfast Project was offered a donation agreement directing that his or her interview materials be deposited in the Burns Library at Boston College. If the interviewee agreed to the donation, the donation form reassured the interviewee that no part of the interviews would be released without the interviewee’s approval or until the interviewee died, whichever came first. There is nothing whatsoever that would lend itself to even a speculative assumption, let alone the firm conclusions arrived at by the SAA Council, that the researchers ever at any point entered into a side agreement with the interviewees or expanded the terms of confidentiality independent of Boston College. The researchers gave to the participants only what Boston College drew up and approved. Neither a word more nor a word less; no side agreements or undertakings. Boston College officials appear to have been clear, when an agreement initially was reached to undertake this project and house the resulting oral histories in the college library, that all promises of confidentiality made to interviewees were subject to U.S. law. In addition, it is my definite understanding that the donor agreement/Hughes Agreement issued to the participants was predicated on the initial agreement [the Moloney contract] which contained the phrase to ‘the extent of American law’. If the donor agreement produced by Boston College was in any way inconsistent with ‘the extent of American law’, why was it codified by the College and issued as an informed consent form to the participants? Had US law not have enabled the terms of the donor agreement, then it was incumbent on BC to state that ultimate power of release lay with the interviewees ‘except as required by law, subpoena or court order’. BC, having knowingly stated outside the donor agreement that the conditions of the interviews were to the extent allowed by American law, must have issued a donor agreement it believed consistent with US law, and not contrary to it. Professor John Brewer, whom I remain fundamentally at odds with in relation to the issue of where culpability resides on the Boston College case, does make a valid point when he says that “informed-consent forms always explain that confidentiality will be maintained only to the full extent provided under the law”. Boston College has yet to explain what many observers feel is a discrepancy between its own two agreements. Boston College officials failed, however, to exercise ongoing diligence over the project … Such review should have led Boston College staff to draw this matter to the attention of the project staff in order to utilize appropriate language in the agreements regarding confidentiality. This begins to sound like an attempt to create a shield which protects the institution. It suggests that Boston College at worst adopted a hands-off approach. Because the SAA Council failed to do the research that its ultimate deliberations should have been underpinned by, it is incapable of following the linear logic that would easily permit it to conclude that Boston College did not leave it to the researchers in the field to reach agreement with the interviewees and that therefore the failing of the College is not one of post facto inadequate supervision but one that was built into the design of the project. There was no distance between Boston College staff and the donor agreements, no mediators acting with latitude, through which the College’s intent was misinterpreted. On the issue of Ed Moloney’s book, Voices From the Grave, the SAA Council statement fails to follow through on the logic and shies away from asking the very obvious question: if Boston College, which gave its imprimatur to the book, genuinely believed that the extent of American law restricted rather than enabled confidentiality, was it not imperative on the College prior to the publication of the book to warn Moloney then? Given these circumstances—that the project staff, for whatever reason, chose to ignore existing case law and assure participants that a greater level of confidentiality could be given the oral histories than could reasonably be assumed, and that Boston College failed to carefully review the legal agreements signed by participants for conformity with the promises about confidentiality made by the College and to insist that those promises be represented in writing—the Government Affairs Working Group suggests that SAA take no position on the case at hand. Distilled down it simply means the GAWG suggested to the SAA Council that it do nothing because the GAWG got it wrong and was incapable of arriving at a more balanced conclusion. The SAA Council, having based its non interventionist recommendation on deeply flawed research, is ethically required to make right what it did wrong. There is so much at stake in this case for archivists that to allow an adverse outcome to result from badly informed inaction, would be to do irreparable harm to the art/practice of archiving and research. The SAA Council, now that the shortcomings underpinning its ultimate decision have been brought to its attention, could do worse than retrace its steps, review its own research and revise its strategic position in relation to the ongoing legal battle by positively responding to the requests for intervention made by some of its membership. Louis XVI once said, ‘surely the archbishop of Paris must at least believe in God.’ The Society of American Archivists must at least believe in the right to protect archives. March 5, 2013 – Ed Moloney, former director of the Belfast Project at Boston College, challenges various details of the discussion paper in this response, which he has requested that SAA make public. For more information on this subject, see Boston College Subpoena News, a site where numerous documents about the case have been posted. and my staff without asking for our input, the least we deserve is a full right to reply. This is that reply. The way this is written suggests that the scholars, i.e. myself and the interviewers drew up these misleading agreements or donor contracts and there is an unspoken implication of deception, either deliberate or because of ineptness, on our part. I think it is important that your members have access to a full text of the relevant section of that donor agreement, i.e. the contract signed by the interviewer and interviewee, so that they can understand better what happened. “Access to the tapes and transcripts shall be restricted until after my death except in those cases where I have provided prior written approval for their use following consultation with the Burns Librarian, Boston College. Due to the sensitivity of content, the ultimate power of release shall rest with me. After my death the Burns Librarian of Boston College may exercise such power exclusively”. It was this contract, and in particular the phrase “the ultimate power of release shall rest with me”, that gave us the conﬁdence that the interviews would be safe and it was on this basis that we participated in the project with Boston College. Notwithstanding references to “the extent that American law allows”, a phrase that was conﬁned to my own contract with BC, a document which did not once mention the word “conﬁdentiality” [contract available for inspection should you wish], the key document in oral history is always the donor agreement which is where such reservations should be expressed, assuming they apply. The absence of the “American law” phrase from the donor contract implies that it is legal in America for an interviewee in a project like this to have ultimate power over his or her interviews. Against a background of assurances from Boston College that the project would not go ahead if there was any danger to the interviews, that was how we viewed the donor contract. Had the phrase “to the extent allowed by American law” been inserted say at the end of the ﬁrst sentence – which it should have been – so many red lights would have ﬂashed that the project would have been stillborn, certainly on our side of the Atlantic. The question of who composed and approved this contract therefore becomes vital. The way you have explained this to your members suggests or implies on one reading that we wereresponsible for drawing up the contract. I suspect, although I do not know, that this thought has been planted in your head by Boston College. All the more reason then that you should have come to us for our side of that story. You must have known that ourselves and BC were at odds, sometimes ﬁercely, over this and other issues. The allegation against us is not true and let me explain why. When these matters were being discussed with Boston College back in 2001, we were all based in Belfast (I moved to NYC later). None of us are or were lawyers. Most certainly none of us knew anything about American law. In sharp contrast, Boston College not only has its own law school but its own legal ofﬁce with experienced counsel to give expert advice on a range of matters, not least contracts. b) do you think Boston College would allow a bunch of amateurs living 3,000 miles away who were ignorant of American contract law to draw up an agreement dealing with the ownership rights of such an archive, especially considering that its unique and singular nature would, with time, bestow upon it considerable value? The answer to both questions is an emphatic ‘No’, as common sense would tell you. As we have insisted from the outset, Boston College drew up, approved and supplied us in Belfast with this contract which made no mention of “American law” to the interviewees who were taking huge risks by getting involved. As I say, had the contract included this clause the project would have been dead in the water, as I suspect Boston College knew full well. Indeed I would go further and say that BC had a compelling motive to exclude the “American law” phrase from the donor contract. To further support our case on the all-important contracts question, I supply below a copy of an email from Bob O’Neill, the librarian at the Burns Library, Boston College, to myself in January 2001 conﬁrming that BC’s legal counsel, Tom Hachey and himself would draw up the donor contract. (Hachey is head of the Irish Center at BC and was effectively in charge of the project) Given all that you have wrongly alleged about myself and the other researchers I think I am entitled to ask you to supply all this evidence to your membership. Finally, consider this aspect of the affair: the Belfast Project lasted ﬁve years and every week or month tapes, transcripts and contracts were dispatched from Belfast to Boston. If BC was so aware of the importance of “American law” why, during all that time did not one member of academic staff or the legal counsel’s ofﬁce notice that their researchers had omitted these key words from the donor contract as BC alleges happened? 1. The project lasted from 2001 until 2006. It did not go “unnoticed”, it was kept secret, very successfully so, until the publication of Voices From The Grave in March 2010. It is important that your members should know some background to the publication of this book. In the discussion between myself and BC over the terms of an embargo, BC at ﬁrst wanted it limited to ten years since the college normally expected “a return” from such investments within a reasonable time. I objected on the grounds that this could put interviewee lives at risk and suggested instead adopting the UK and Irish 30-year rule. That was unacceptable to BC. The college clearly wanted a rapid dividend from its investment. Finally we settled on a lifetime embargo which appeared to offer the best protection to participants since not even the IRA could reach beyond the grave. BC’s business oriented approach to the project was reflected in the college’s desire to see some sort of published product coming out of the archive. On one occasion, during a trip to Belfast, Tom Hachey met the two interviewers and asked them if they could persuade the participants to change the terms of their contracts to allow publication of interviews while they were still alive. He also asked me the same by telephone. All three of us refused him. If BC was so cognizant of the limitations of American law and the legal dangers that would ﬂow from revealing the project’s existence and participants, why on earth did Hachey do this? The publication of Voices From The Grave was partly a way to satisfy BC’s desire to see a concrete product from their investment in the archive and it would happen four years after the project had ended. 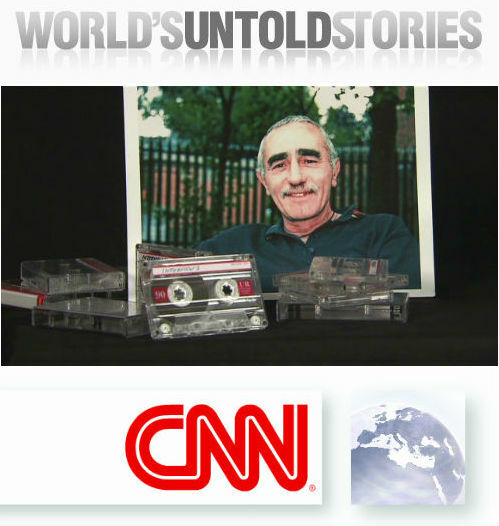 As it happened the book was based on the interviews of a leading Belfast IRA member, Brendan Hughes, who had effectively made it a condition of his participation that we try to publish his interviews as quickly as possible after his death. So the book satisﬁed two demands. 2. Jean McConville was not alleged to be a police informer. She was alleged to be an agent for British military intelligence. 3. There is no such thing as ‘The “Disappeared Commission” of the Police Service of Northern Ireland’. The commission you refer to is called the Commission for the Location of Victims Remains (CLVR). It is an entirely civilian body and it was set up on the initiative of President Bill Clinton to help ﬁnd the bodies of the so-called ‘disappeared’, i.e. people killed and buried in secret graves by paramilitaries during the Troubles. It has the power to grant an amnesty to people who provide them with information but its secretary has said that since the BC subpoenas were served people have stopped coming to the commission. The DoJ’s co-operation with the police in Northern Ireland has had a chilling effect, preventing other relatives from ever ﬁnding their loved ones. The CLVR has no powers to conduct criminal investigations; these are the preserve of the PSNI. 4. On the issue of PSNI investigation of Jean McConville’s disappearance you imply that the inquiry into her death has been ongoing since 1972. This is not true. It is important that your members know that while Mrs McConville was abducted in 1972, the authorities did absolutely nothing about her case and did not even categorise her death as murder for the best part of 20 years. A report into her disappearance slated the police and British Army’s handling of the case and the fact that the PSNI have shown interest in her case only very recently has strengthened the suspicion that reactionary elements in the police, opposed to the new political order in Northern Ireland in the wake of the peace process, are hoping that the subpoenas will embroil the IRA leader Gerry Adams in the McConville disappearance, thus both damaging him and the peace process. There is more than a hint of abuse of process in this legal action with which the Holder DoJ is co-operating. This implies that it was the book, Voices From The Grave and the accompanying documentary which sparked the subpoenas. Again you are wrong. The book was published in March, 2010. 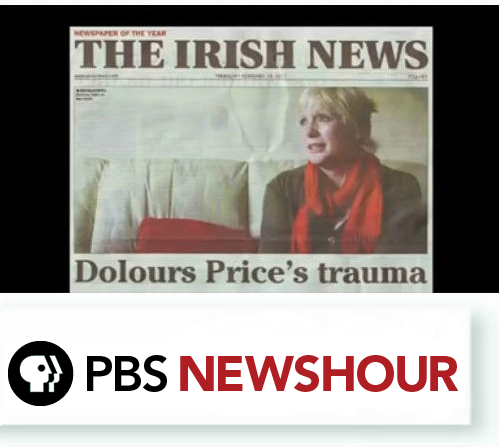 A month earlier, in February 2010, Dolours Price, one the interviewees, gave an interview to a newspaper in Belfast admitting her role in the McConville disappearance and also revealing her participation in the Belfast Project at BC. The subpoenas were based primarily on this disclosure, not anything contained in the book. Even so, the subpoenas were ﬂawed. Dolours Price never mentioned McConville in her BC interview, a fact to which I attested in a court afﬁdavit. She was then and afterwards suffering from serious psychological problems, had attempted suicide several times and recently died from a drug overdose. Neither the PSNI nor the DoJ ever attempted to obtain her interviews with the Belfast newspaper, possibly because they thought the BC interviews incriminated Adams more thoroughly. Again the suggestion of abuse of process rears its head again. This is also incorrect. Anthony McIntyre has not been served with a subpoena. Only BC has been served with subpoenas. He was not asked to turn over material; indeed he has no material to hand over since no interviews or interview material was kept in Ireland for security reasons. This is what happened. The judge, when he ruled against BC, asked the college to separate from the archive those interviews which mentioned Jean McConville so that they could be handed over to the DoJ. The Burns librarian, Bob O’Neill told the court, much to the incredulity of the judge, that since he had never read the interviews he could not help. Imagine that? A prestigious college funds an expensive oral history archive and the librarian charged with overseeing it claims he never once read a single interview! Was he not even curious? Did he not think it part of his job to check on the quality of the material BC was paying for? Or was this a stratagem to avoid a criminal charge that he had failed to report Jean McConville’s murder, while dumping on Anthony McIntyre in Ireland? O’Neill suggested that the court contact Anthony McIntyre for the necessary information but he took a principled stand and informed the court that he was not going to give up interviewees to whom he had promised conﬁdentiality. Even so, it had been ﬁve or six years since Dr McIntyre conducted the interviews; how could he be expected to recall who said what about whom? Your members can themselves judge Dr O’Neill and BC’s behaviour and motives in this matter. 7. Myself and Dr McIntyre, who you should know holds a doctorate in political science, decided that Boston College was only going through the motions of resisting the subpoenas and so we sought separate legal advice and since the Fall of 2010 have been conducting our own legal ﬁght. It is ourselves who are applying for cert at the Supreme Court, not Boston College. I won’t bore your members with the details but sufﬁce it to say that inasmuch as BC did put up a legal ﬁght, they did so only because I leaked the story of the subpoenas to the New York Times in May 2011. Otherwise, I suspect, the interviews would have been quietly handed over without a ﬁght. The resentment and anger felt by BC towards myself because I did this has been reﬂected in a campaign of smear an innuendo against myself and hostile brieﬁngs, the traces of which are detectable in the background paper you prepared. The section below is particularly grievous in this regard. You write: “Boston College ofﬁcials appear to have been clear, when an agreement initially was reached to undertake this project and house the resulting oral histories in the college library, that all promises of conﬁdentiality made to interviewees were subject to U.S. law”. So why did BC not insert this into the donor contract where it belonged? Why was it hidden away in my employment contract? Shouldn’t the interviewees have been told, before they signed donor contracts, that their interviews were in fact at risk from US law? Here is what my contract had to say about US law: “Each interviewee is to be given a contract guaranteeing to the extent American law allows the conditions of the interview and the conditions of its deposit at the Burns Library, including terms of an embargo period if this becomes necessary, as outline herein”. Then you write: “The researchers, apparently acting in the belief that additional assurances of conﬁdentiality made to the oral history subjects could be supported in case of legal action, made additional written promises to participants in the oral history project that went beyond those offered by Boston College, but project staff did not disclose to participants that these additional assurances were made on behalf of the project staff and did not represent the position of Boston College”. This is an outrageous, defamatory allegation to make which is totally unsupported by evidence of any sort. The offence is all the more egregious since you failed entirely to ask for our version of all this. The evidence that does exists points in the other direction. I attach below a tiff of the email dealing with the donor contract from Bob O’Neill to myself sent in January 2001 which makes clear that he, Tom Hachey and the BC legal counsel would draw it up. This they did and copies of the contract were mailed to us for use in Belfast. So when you write that “These additional assurances apparently were founded in the researchers’ belief in a legal theory of “archival privilege” rejected by a federal court” you are entirely wrong. The assurance we relied upon can be found in the wording of the donor contract which Bob O’Neill’s email conﬁrms was Boston College’s work. 8. You write that “Moloney’s decision” to publish the book drew unwelcome attention to the archive. I have corrected that above. The PSNI attention was drawn to the archive before the book was published while publication of the book was as much BC’s initiative as anyone’s. You are singing Boston College’s tune here, or should I say Jack Dunn’s. The truth about the book is that BC was closely involved in the decision to publish it, that Dr O’Neill and Prof Hachey initially wanted their bylines on the book but agreed instead to write a foreword and that they negotiated a deal with the publishers, Faber, that ﬁfty per cent of the royalties would go to Boston College. Boston College and Faber also negotiated an agreement to give Faber publication rights. So one way and another BC was fully involved in the decision to publish a book. 9. On the issue of conﬁdentiality guarantees from BC, had you consulted us, Wilson McArthur for one, the Loyalist interviewer, would have been able to tell you that when he and a representative of the Ulster Volunteer Force met with Bob O’Neill in Belfast to negotiate the UVF’s participation in the project they speciﬁcally asked O’Neill if there was any possibility that the interviews could fall into the hands of the PSNI. He assured them that this could not happen and so on that basis the UVF agreed to take part. I guess Jack Dunn didn’t tell you that. 10. Yes, as you write, it is true that I beat a subpoena rap once before but why didn’t you point out to your members that this happened in Belfast which is in the jurisdiction of British law, not America. Now the last time I looked, Britain and the US are different countries and have different legal systems. America has a written constitution and a Bill of Rights, which guarantee free speech and due process. Britain does not. As a journalist covering the Troubles I had to overcome censorship laws enforced by both the British and Irish governments while working in an environment in which police hostility to the media was endemic. When we considered this project we were painfully aware that there were institutions that had handed over conﬁdential material to the authorities unasked! Why do you think we looked to America to house this archive? It was because we believed we could trust in a political system which offered its citizens such guarantees. I will end by saying just two things. First, the real target of this affair is the NI peace process. It is well known that Gerry Adams, the Sinn Fein leader, was in charge of the unit that “disappeared” Jean McConville and it is my conviction that reactionary elements within the police are behind this move and they are hoping the interviews will incriminate him. If they are successful I cannot see the power sharing government in Belfast surviving. They are intent on damaging the peace process, which brought important policing reforms, and wish to wreak revenge against Adams, a ﬁgure who was in their eyes the Irish Bin Laden. Two US presidents, Clinton and George W Bush made the peace in Ireland possible; will a third help to bring it down? Doubtless ourselves and Boston College will be ﬁghting about this matter until hell freezes over, which is both a pity and a waste. What should have happened is that BC ought to have put that to one side and have concentrated instead on defending their researchers and the project participants, all of whom took enormous risks to give this archive to the college. Whatever the legal niceties, the interviewees were given pledges of conﬁdentiality which BC was morally obliged to defend. They did not, they have not. The message is a dispiriting one: do not participate in sensitive research with Boston College for they will abandon you if they have to. And if you go to jail or even face a violent death then so be it. Equally, American academe should have recognised the grave threat posed by this DoJ action to academic freedoms in America. But that has not happened. The message from that inaction is the same as from BC: do not participate in sensitive research with an American college because you will be dumped if necessary. And the result? The death of such research in America. This is not the proudest moment in the history of American academic life. One key communication that I had included in my response was an email sent to me by the Burns Librarian at BC, Bob O’Neill concerning the preparation of the most important document in the project, the donor contract. This contract set out the terms and conditions of the interview and was to be signed by the interviewer and the interviewee. BC’s case, faithfully repeated in your background paper, is that myself and my researchers prepared this contract and that we neglected to warn interviewees in the contract that confidentiality was subject to and limited by American law. We strongly dispute this version of the genesis of the contract and have insisted all along that BC put together that contract and that any failing was on their part. The email that the SAA refuses to publish is proof that we are telling the truth. The SAA leadership has refused to reprint that email for reasons that I cannot fathom. It is a letter to me, is stored on my computer and is therefore mine to do with whatever I please. However I cannot force the SAA to publish something when it will not do so. I do though deeply regret that decision as it denies key information to your members which persuasively undermines Boston College’s case against the Belfast research team. However I would like your membership to know what that email had to say. The email from Bob O’Neill was in response to three questions I had posed to him. One concerned membership of an advisory committee that had been proposed to oversee the project (BC actually never did set up the committee, a failure which I believe contributed to subsequent problems); the second was to give written confirmation of Anthony McIntyre’s employment, which he needed to establish his credit worthiness; and the third was a request that he and the college’s lawyers prepare the donor contract, i.e. the agreement which BC now claims I and the researchers prepared. O’Neill’s answer was that he was working on the wording of the contract, would run it past Tom Hachey and the college’s legal counsel and hoped to have it cleared to send to me at the end of the week. I believe this email nails the lie completely and unreservedly that the researchers in Belfast were responsible for the contract and its wording. Boston College prepared that contract and the email is conclusive proof of that. Should any of your members wish to see a copy I will happily oblige and they can contact me at edmoloney01@gmail.com. When: Friday, March 29, 2013, 5:00 p.m. – 7:00 p.m. The topic will be the Boston College IRA oral history tapes case. Former Oral History Professor Gail Matthews-DeNatale will be speaking about the various issues around this case. SCoSAA will be providing reading material in the near future. Light refreshments will be served at this event. Thursday, March 21, from 4:30-6pm in P206, will discuss the book Quiet: The Power of Introverts in a World That Cant Stop Talking by Susan Cain. Friday, March 29, from **5-7pm in room 222 of the School of Management Building will feature a lively discussion of the Irish Republican Army (IRA)-Boston College situation and the related Oral History issues. Adjunct professor of oral history, Gail Matthews-DeNatal, will be joining us for this event! We know you have plenty of other readings to do, but hope these two events entice you to go outside the standard archives, library and information science texts and think about other related materials. For the March 21st event, the entire book Quiet is highly recommended, but for the purposes of the SCoSAA Reads discussion we will point you to the Introduction and Chapter 9-When Should You Act More Extroverted than you Really Are? These excerpts will help us jump into a conversation about cultural biases associated with introversion, the importance of self-awareness, and the wide variety of strengths a new professional can exhibit no matter his/her personality type. Note that this discussion will take place the day before the New England Archivists Conference, and is a great opportunity to seek some confidence-boosting before diving into that! For the March 29th event, we have provided two documents (one recommended by the Boston College Archives and the proceedings from the actual court case) for you to get an overview of the major issues and players. A lot has been written about the IRA/Boston College situation, both within the archival and oral history fields, as well as the mainstream media and legal journals, meaning there is an overwhelming amount of material at our disposal. Or check out a quick overview provided by the SAA. We will provide additional recommended readings as we get closer to the event. We hope to see you at one or both of our SCoSAA Reads events! Access the readings for both of these events here. E-mail SCoSAA Webmaster Elise Dunham (dunhame@simmons.edu) for the password. Prepared by the Government Affairs Working Group (GAWG), this piece includes background information, a timeline of legal actions, and a discussion of the merits of the case. Several SAA members have brought to the attention of the Council an ongoing legal case in which oral histories conducted on the subject of the Irish “Troubles” and housed at Boston College have been subpoenaed by the United States government at the request of the Police Service of Northern Ireland to be used as potential evidence in a murder investigation begun in 1972. Honoring of the subpoena would violate the confidentiality terms agreed upon by those interviewed and the individuals who conducted the interviews. 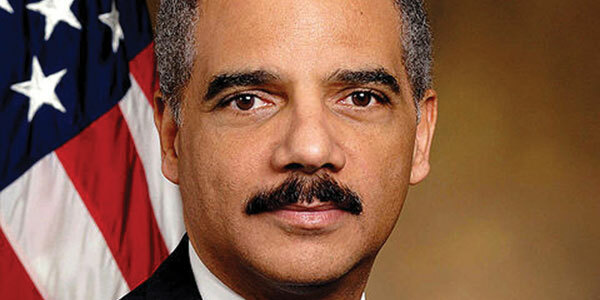 A federal district court and the First Circuit Court of Appeals have ruled that the subpoena is legal. A request to have the case reviewed by the United States Supreme Court is pending. Members of the Society have both asked that SAA intervene in the specific case and posed the question of what broader issues are raised by this matter, in particular if there is or should be a legally recognized right of “archival privilege” that would shield archivists and those who donate material to archives from unwelcome legal action. Presented below is a discussion of the case itself and the matter of “archival privilege” that was prepared by SAA’s Government Affairs Working Group. The SAA Council believes that it is inappropriate for the Society to take a formal position on the case or on the concept of “archival privilege” at this time. The Council does, however, welcome and encourage discussion across the profession in the hope that it will result in a preponderance of professional opinion regarding the matter. Boston College began an oral history project in 2001 when an agreement was reached to conduct interviews regarding the “Troubles in Ireland” with members of both the Irish Republican Army (IRA) and individuals tied to the Loyalist UVF/Red Hand Commandos. The agreement apparently was signed on behalf of Boston College by Robert K. O’Neill, director of the John J. Burns Library, Boston College, and Thomas Hatchey, executive director of Boston College’s Center for Irish Programs. Ed Moloney, a Northern Ireland journalist, served as director of the project. Wilson McArther interviewed an unspecified number of Loyalist participants. The project was completed successfully and remained largely unnoticed until 2010, when Moloney published a book, Voices from the Grave: Two Men’s War in Ireland, based on the oral histories of two, now deceased, interviewees. An introduction to the book was written by O’Neill and Hatchey. The book subsequently was made into a documentary that aired on Radio and Television Ireland (RTE) on October 26, 2010. The book and documentary made widely known both the existence of the oral histories and their pertinence to an ongoing murder investigation regarding Jean McConville. McConville was a mother of ten children who disappeared in December 1972. At the time she was alleged to be a police informer. Her family denied the accusations. In 1999 she was declared to be a victim of the IRA. In 2003 her body was discovered. The “Disappeared Commission” of the Police Service of Northern Ireland (PSNI) had begun an investigation of the abduction and presumed killing of Jean McConville and eight others in December 1972. Given the public revelation of new evidence in the case, PSNI requested access to the interviews under the United States-United Kingdom Mutual Legal Assistance Treaty. Acting upon this request, a subpoena was duly served on the John J. Burns Library of Boston College on May 11, 2011. Boston College resisted the subpoena in Federal District Court but surrendered the oral histories, without appeal, when they lost their case. Eventually the entire body of oral histories in their possession was surrendered to the Court. At the same time, Anthony McIntyre, who also had been subpoenaed, declined to turn over material in his possession regarding these interviews, in particular passages deemed relevant to the McConville investigation. On September 1, 2011, McIntyre and Moloney asked a federal court to “quash the subpoenas” against both McIntyre and Boston College. On December 16, 2011, McIntyre and Moloney’s request was denied in Federal District Court. On January 23, 2012, Massachusetts Senator John Kerry wrote to Secretary of State Hillary Clinton and Attorney General Eric Holder to express his concern regarding what impact the release of the information sought by the PSNI “may have on the continued success of the Northern Ireland peace process.” At least eight U.S. Senators and 11 Members of Congress have written to the Secretary of State asking her to intervene in the matter based on these concerns. Apparently the hope is that through State Department intervention, the British Governor could be persuaded to voluntarily withdraw its request for the oral histories, thus ending the legal proceedings. It is unknown whether Clinton has honored the request that she intervene. In July 2012 the First Circuit Court ordered compliance with the subpoenas. On October 17, 2012, Justice Breyer stayed the First Circuit Court’s order, pending the Supreme Court’s ruling on a request by McIntyre and Moloney that the Supreme Court review the case. That ruling currently is pending. Boston College officials failed, however, to exercise ongoing diligence over the project. Boston College staff either failed to review or reviewed insufficiently the agreements drawn up for participants’ signatures. Such review should have led Boston College staff to draw this matter to the attention of the project staff in order to utilize appropriate language in the agreements regarding confidentiality. The researchers, apparently acting in the belief that additional assurances of confidentiality made to the oral history subjects could be supported in case of legal action, made additional written promises to participants in the oral history project that went beyond those offered by Boston College, but project staff did not disclose to participants that these additional assurances were made on behalf of the project staff and did not represent the position of Boston College. These additional assurances apparently were founded in the researchers’ belief in a legal theory of “archival privilege” previously rejected by a federal court. As in 1986, in the current case both the Federal District Court and the First Circuit Court ruled in favor of the government and held that access restrictions specified in the deed of gift were not sufficient to withstand a court subpoena. 1 Harold L. Miller “Will Access Restrictions Hold Up in Court? The FBI’s Attempt to Use the Braden Papers at the State Historical Society of Wisconsin.” The American Archivist 52 (Spring 1989): 185. Boston College’s legal response to the subpoena seems minimal. Although Boston College did contest the initial subpoena served upon it, the College seems to have failed to defend confidentiality “to the extent of [sic] American law allows” by declining to appeal the adverse ruling to the Federal District Court. Although it is not relevant to the legal case, Moloney’s decision to use two oral histories to publish a book, which clearly was within the terms of the relevant donor agreements, nevertheless drew unwelcome attention to those and other interviews—a situation that the author might reasonably have expected to occur and might reasonably have been prepared to deal with in a realistic way. In 1999 Moloney risked jail time when he refused to reveal information he possessed regarding the murder of Pat Finucane, an IRA lawyer allegedly killed by Loyalists. Although Moloney eventually won this case (arguing before the Court as a journalist, not a historian) and was not required to disclose the material desired, this experience should have made him acutely aware of the possibility that authorities might seek information regarding the murder investigation of Jean McConville. Boston College officials share culpability in the matter of publication in that O’Neill and Hatchey wrote an introduction to Moloney’s volume, thus making clear that they were aware of the publication project and, at least in appearance, giving their imprimatur to the work. They, and Boston College, also should have been prepared to deal in a realistic way with the likely consequences resulting from the book’s publication. Based on the Miller article, the claim that there is a legal privilege to confidentiality that archivists may invoke to gain exemption from a court order or other appropriate legal process currently is without legal standing. The belief that there should be an archival privilege of confidentiality rests on the “need of history” for honest information, and thus the need to shield honest answers from potential legal consequences. Clifford M. Kuhn, a past president of the Oral History Association, has warned that sources “will be far less likely to take part in such activities” if oral history participants cannot be guaranteed confidentiality. The belief that there should be an archival privilege of confidentiality requires careful and thorough discussion within the archival profession. Although some members of the profession clearly believe that such a right should be asserted, others believe that asserting such a right could be interpreted as an unfortunate exercise in absolutism that would be detrimental to the broader public interest. At the very least, such a right would have to be nuanced carefully and placed into a context of mutual rights and responsibilities that others might legitimately assert for the availability and use of archival material under certain circumstances. Although the Council might encourage professional discussion on the subject of a legally recognized archival privilege of confidentiality, we recommend that the Council take no position on the matter. Professional discussion should also make clear the consequences to donor relations if archivists and others involved in obtaining historical documentation are perceived to be giving legal advice that has little chance of being supported in court. We believe that the archivist’s responsibility to donors is to represent any legal matter as best reflects current law. Potential donors should make informed decisions based on the likely legal ramifications of their actions, not on legal speculation. Greetings and salutations, all. Christine Anne George here. Perhaps you remember me from post #5 where I wrote about the Belfast Project back in November. Well I’m back to talk about it again in light of the document from the Government Affairs Working Group (GAWG) on the subject and the latest post on SAA president Jackie Dooley’s blog, Off the Record (OtR). In the interest of full disclosure, there are a few things you should know. I believe that archivists should begin advocating for archival privilege now. I also think that SAA should file an amicus brief if the case is heard before the Supreme Court. However, my reasons for thinking this are not in line with those outlined in the OtR post. This is a big picture issue that’s getting the narrow lens treatment from SAA’s leadership. Sure the legal battle centers on the Belfast Project interviews, but for archivists, the ultimate physical location of the interviews does not matter as much as future legal implications for archival policy. The problem is that academics, heritage groups, and lawyers have been talking about archives while archivists and the national organization that represents them remain silent. As archivists, we know about archival best practices; those outside the profession don’t. Whenever archives are mentioned, archivists should be front and center, making sure that the profession’s best interests are being served. The situation surrounding the Belfast Project is not your average archives story, but no one is going to know that if archivists don’t tell them. Amicus briefs are filed by parties with an interest in the outcome of a case. They can be filed in support of one side or the other, but they can also be filed in support of neither side. SAA is an interested party in the Belfast Project case, even though the legal issues in the case involve the interpretation of an international treaty and not explicitly archival privilege. It is in the best interest of the archival community that, should the Supreme Court rule on the Belfast Project case, it makes a narrow ruling. In other words, that the Court acknowledges that its ruling is applicable in a very specific set of circumstances and is not all-encompassing. When a judge delivers an opinion in a case, he or she rules on a particular legal issue, and that ruling becomes law. However, judges often include their beliefs or opinions—which are called dicta—that go beyond the issues of the case. The legal issue for the Belfast Project case is the interpretation of an international treaty. However, concepts of academic freedom and archival privilege keep creeping into the case, and it is possible that the Justices may address those topics in their decision. Although dicta are not technically law, they have some weight and can be used either in support of or against a particular issue at a later date. The archival community has not made a decision about archival privilege, so it’s probably best that the highest court in the land not make a comment in its discussion of the case that archival privilege shouldn’t exist. The first time that archival privilege was invoked in the 1986 case Wilkinson v. Federal Bureau of Investigation the district judge did not explicitly state that archival privilege did not exist. The opinion stated that no one had ever attempted to invoke archival privilege before, but that, ultimately, archival privilege could not be applied in that particular instance, given the facts of the case. The district judge in the Belfast Project made several concessions including acknowledging in his opinion that this particular instance warranted higher scrutiny, and allowing the interviews covered by the second subpoena to be reviewed in camera, or in private, so that the details of the interviewees would not be revealed. Archival privilege is by no means a legal right. Privilege is a very fragile protection that is incredibly difficult to obtain and beyond easy to break. No individual or group has a right to privilege. In fact, if you want the protections of privilege, you have to actively invoke it. It is never assumed. It is also something that will take archivists decades to achieve, as evidenced by journalists who sought their own privilege. Boston College has taken far more legal action than the GAWG document acknowledges. It appealed to the First Circuit—although not for the Dolours Price interview, but rather the interviews that fell under the second subpoena. Boston College also moved to vacate the district court’s decision after Delours Price’s death. Finally, I’m concerned that we, as a profession, are only beginning to talk about archival privilege and the Belfast Project while others have been since May 2011, and we still lack any concrete plan to continue and foster discussion. How about a forum at the 2013 meeting to discuss it? Or actively soliciting opinions from the membership? The Oral History Section created a site devoted to providing information about the Belfast Project and the legal situation. This microsite is a great starting point. Discussions about archival privilege need to happen and keep happening. As a shameless plug, if you happen to be attending the MARAC conference in Erie, PA in April, come find me. I’ll be talking about this in one of the advocacy panels. The Belfast Case: What’s the starting point for archivists? Between 2001 and 2006, Irish researchers conducted forty oral histories with Irish paramilitarists active on both sides of the violence between loyalists and unionists of Northern Ireland, otherwise known as “The Troubles.” The recordings were housed at Boston College’s Burns Library, with the understanding that each interview would remain closed until the subject’s death. However, as part of an investigation into the 1972 murder of an alleged British informant, the Police Service of Northern Ireland sought to access two of the interviews, and in March 2011, the US Justice Department issued a subpoena on behalf of the British government. Though the confidentiality agreement allowed each subject to provide an honest and detailed record of their involvement in The Troubles, the legality of such agreements is now being challenged, and the outcome could have lasting and serious effects for oral history programs and archival collections across the country. Archivists from across SAA groups have recognized in various formal and informal ways the seriousness of the Boston College/Belfast Project Supreme Court case, including and especially the impact that decisions will have on the work that we do and the communities within which we practice. SAA Council, the Government Affairs Working Group (GAWG), and the Oral History Section (OHS) agree that at this time, an official statement by SAA and/or any SAA group would be premature and inappropriate. However, as the court battle continues, this case provides archivists an opportunity to evaluate our code of professional ethics, and consider the ways in which legal frameworks may or may not support our work. In lieu of crafting an official statement, the OHS would like to help offer opportunities for SAA members to connect with information and with each other, in order to foster understanding and dialogue. In the interest of keeping section members informed, we’ve compiled this short list of links to try to help members learn more about this complicated case, and stay informed as the case progresses. The Oral History Section steering committee is also working on more in-depth tools and informational pieces, to help us all consider the impact to our work and our profession. Please look for additional resources in the near future. A very good essay by past Oral History Association President and Oral History and the Law expert John Neuenschwander, who is also a retired Professor of History at Carthage College and former Municipal Judge for the City of Kenosha, Wisconsin. Though the authors clearly have a strong bias towards keeping the interviews closed to police investigation, this weblog seems to be the go-to site for the latest news about the case. 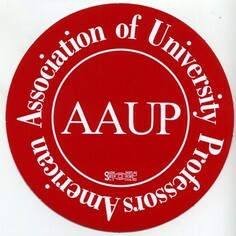 It offers background information, aggregated links to media about the case, an AAUP petition, as well as numerous court documents available to download, including a copy of the recent Amici Curiae Brief to the US Supreme Court. Oral historian and Austin Community College Adjunct Professor Virginia Raymond provides a lengthy and opinionated piece on the history of the case, which includes the challenges that oral historians face when interviewees may divulge sensitive information, and recommendations for those collecting such interviews. 6. College Fights Subpoena of Interviews Tied to I.R.A. We call attention to this NYT piece, because Oral History Association (past) President Mary Larson makes a statement in support of fighting the subpoenas.